Short on cash? No problem! 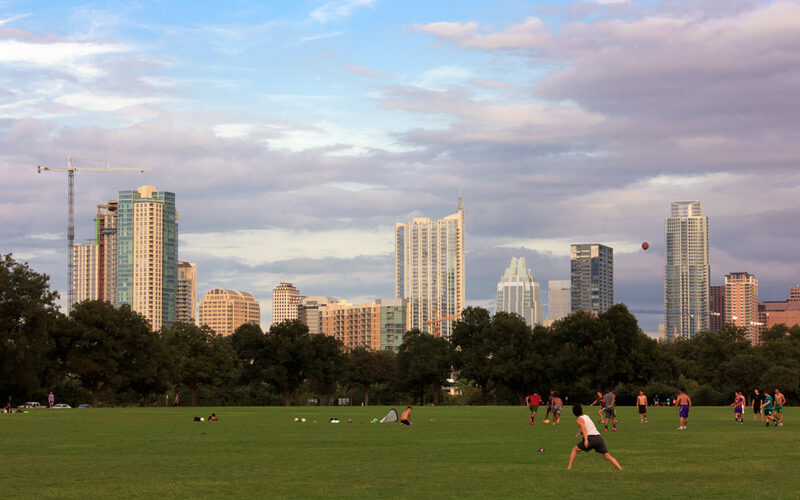 There are plenty of free activities to enjoy in the city of Austin. 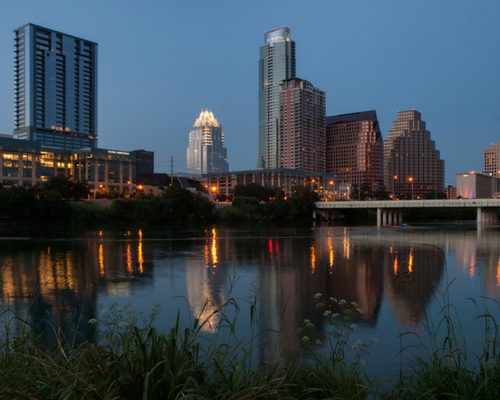 From a cool dip in Barton Creek to a rockin’ happy hour show, Austin is the perfect destination for the budget traveler. 1. Hit up a happy hour show. 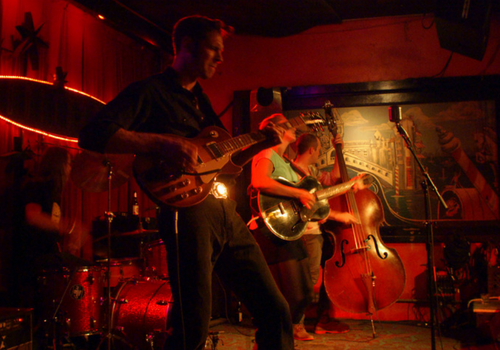 In Austin, happy hours don’t just mean cheap food and drink— at many of the music venues and bars across town, happy hour means a free show featuring some of the best musicians in Austin. Notable acts include Friday evenings at the Saxon Pub with Denny Freeman, a long-time industry vet who has played with everyone from Stevie Ray Vaughan to Bob Dylan and Monday nights at the Continental Club with The Peterson Brothers, a pair of young blues prodigies from nearby Bastrop. Most happy hour shows are free, but be sure to tip the band with the money you’re saving on drinks! 2. Walk around Lady Bird Lake. The Lady Bird Lake (sometimes referred to as Town Lake) Hike and Bike Trail is one of Austin’s best outdoor attractions. When the weather is nice, you’ll encounter joggers, bikers, and casual strollers on this gorgeous trail that runs along downtown Austin. You might even bump into local Austinite Matthew McConaughey, who is a frequent morning trail runner! There are parking lots all along the trail, but my favorite is the lot on the south side of the Congress Bridge. From here, you can walk west to see the Stevie Ray Vaughan statue or east to the bat viewing area. Either way, you’ll have a great view of Downtown Austin along this trail. 3. 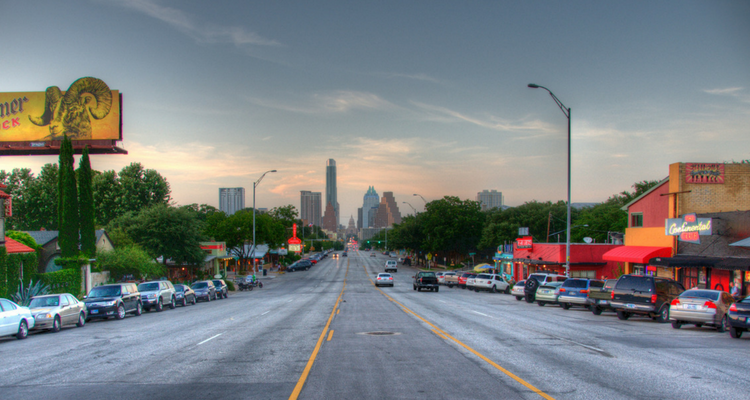 Visit South Congress Avenue. 4. Swim at Sculpture Falls. Austin’s greenbelt is well-loved by locals and often overlooked by tourists. Along the eight-mile-long Barton Creek Greenbelt are plenty of rock walls, beautiful views, and swimming holes for hikers to enjoy. 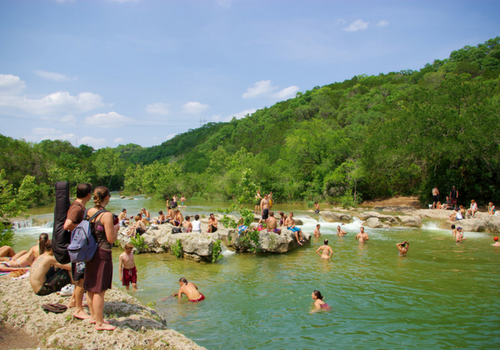 One of the most popular places to swim along the greenbelt is Sculpture Falls, where Austinites of all ages (and species) gather when the water is high. Sculpture Falls is a laid-back swimming hole where (almost) anything goes, which makes it one of the best places to meet friendly locals on a hot summer day. Beer isn’t technically allowed, but if you choose to indulge, make sure recycle your cans when you’re done— Austinites are proud of the Greenbelt and leaving litter is a big no-no. If there’s been a dry spell, there are plenty of other swimming holes to choose from. 5. Shop at the flagship Whole Foods store. The flagship Whole Foods store on Lamar (now owned by Amazon) is the perfect place to kick off a morning exploring Downtown Austin. Grab a breakfast taco (or a breakfast beer) and snag an outdoor table for some of the most relaxed people-watching in Austin. 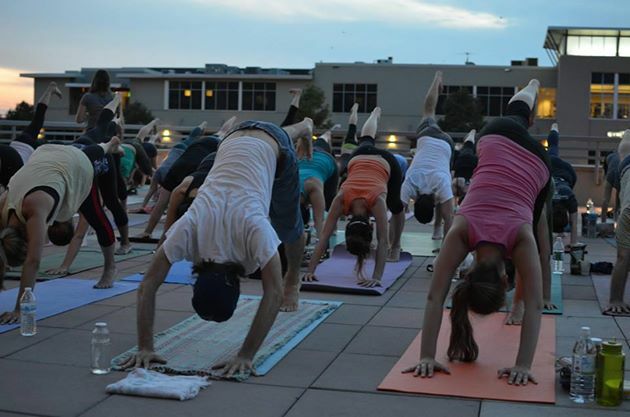 Whole Foods also hosts an impressive array of free events, including weekend yoga! You might be surprised to see folks in their running clothes at the wine bar at noon on a Wednesday, but don’t knock it ‘till you’ve tried it— a hard workout and good booze make perfect partners. 6. Enjoy local produce at Boggy Creek Farm. Local produce mainstay Boggy Creek Farm is open to the public Wednesday through Saturday from 8 am to 1 pm. 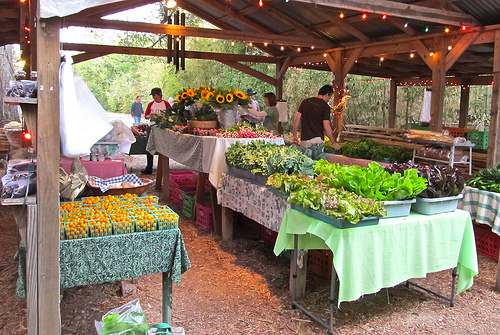 The farm, located in East Austin, sells all sorts of seasonal goodies in a covered pavilion right next to the fields where the food is grown. Boggy Creek’s proprietors, Carol Ann and Larry, take great pride in caring for the land and animals at Boggy Creek. The rehabilitated 1840s farmhouse is filled with upcycled furnishings handmade by the couple, and the Texas dogtrot-style guest house was built by Larry himself. During public hours, the farm’s outdoor area (including the chicken coop!) is open for the public to explore. 7. 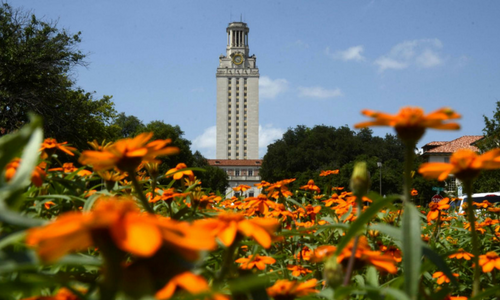 Explore the University of Texas campus. The famous UT Tower is in the middle of an area of campus affectionately referred to as the “six-pack,” which is a group of the six buildings that make up the original campus plan. In front of the tower is the Littlefield Fountain, a 1933 sculpture created as a tribute to students who perished in WWI. From here, you can catch one of the best views in town— from the fountain you can watch as the summer sunsets turn the sky a brilliant pink over the Texas State Capitol Building to the south. UT’s campus is jam-packed with museums and landmarks to enjoy. From the free Harry Ransom Center (where you can view the first photograph and a Gutenberg Bible), to the impressive Blanton Museum of Art, to the must-see Lyndon B. Johnson Presidential Library, the cultural amenities at UT cover a lot of ground. 8. Take a Tipster Tour! Tipster Tours are the best way to get to know Austin. Not only will you have a great time on the tour itself, but your guide will be able to give you even more suggestions for free or inexpensive things to do during your stay. 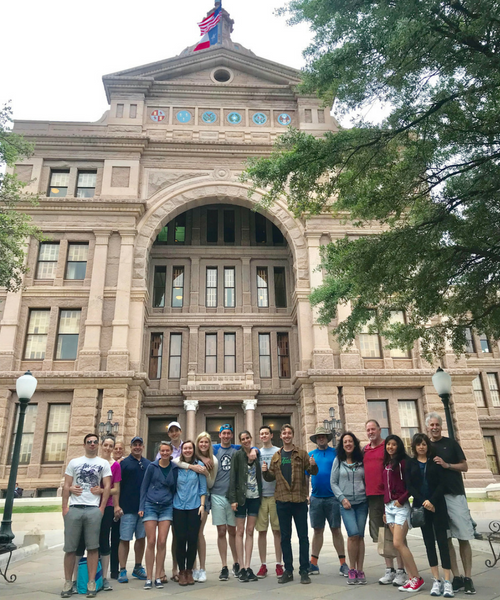 Our Brewery Tour, Music Tour, East Side Art Tour, and Downtown Tour are a great introduction to everything there is to do in Austin!